For 30 years, the professionals with Action Garage Door have delivered the best garage door repair and installation services in Helotes. Since we started serving the San Antonio area in 1984, our family-owned company has worked hard to deliver 100 percent client satisfaction on each and every job. As part of our commitment to providing top-notch customer care, we require all of our technicians to undergo a thorough screening, so you can invite them onto your residential or commercial property with total confidence. Our experts always make sure their work complies with local codes, and use high-quality products built to withstand even the harshest Texas weather. When you choose Action Garage Door, you can count on us to have the tools, equipment and experience to take care of your job right the first time. Whether you need minor maintenance or major repairs, the experts at Action Garage Door can solve any garage door problem at your Helotes home or office quickly and effectively. We can repair or replace your garage door opener, secure a loose cable, fix a problem spring and much more. We’ve earned the trust of thousands of people in the San Antonio area and across Texas over the last three decades, and we look forward to earning yours as well. Our professionals will work closely with you to ensure that you end up with a durable, reliable new door in a style that complements your home or business. At Action Garage Door, we know that a broken garage door can leave you with limited access to your vehicle, and can put your belongings at risk of theft or damage. 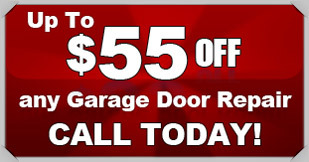 If you need garage door repairs in Helotes, call us right away for fast, skillful service. To learn more about how we prioritize our customers’ safety, peace of mind and total satisfaction, give us a call or contact us online.